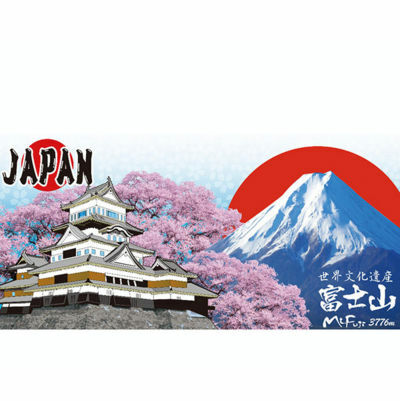 Featuring the most colorful and classic Japanese symbols. Enjoy sake, or the drink of your choice, with this cool 3-piece set. 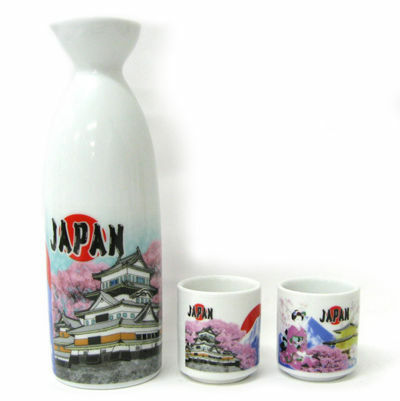 The sake pot and two cups feature some of the most famous images of Japan - a geisha, Mt. Fuji, a castle, cherry blossoms, and Kinkakuji, the Temple of the Golden Pavilion, with English and kanji. The set comes in a small presentation box, making it an ideal gift for the Japanophile in your life.